What is Your Favourite NairaBET Feature? It was indeed an eventful month of May! From the conclusion of several football leagues in the world to the anticipation of the FIFA World Cup and many other competitions around the world, May has arguably been one of the best months of the year for sports lovers. And for all the talk about these different sports coming up, we hope that you’re making (or you’ve made) some money by placing your bets via NairaBET on these sporting events. Click here NOW to instantly open a NairaBET account for yourself and join the winning team! Those who have made NairaBET their preferred sports betting platform have many different reasons they’ve remained NairaBET customers. 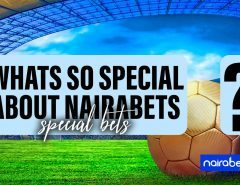 One of the biggest reasons is the amazing features NairaBET boasts! In this blog post, we will be taking a look at some of these features. One of the ways to make the most money from betting is to accumulate great games with good odds. But of course it has its own downside: the more games you add up, the higher the chance of you making a mistake and one game ‘cutting’ your bet ticket. We’ve all been there before right? That ‘na just one game’ feeling. But with NairaBET’s ‘edit your bets’ feature, this has stopped being an issue for bettors who have chosen to be NairaBET customers. With this feature, users can edit their bets even after they’ve placed their stake. Talk about one of a kind. Can you think of any other sports betting platform that gives you 10% bonus on your deposits? And they do it every Monday? Can you think of any? This is yet another feature that NairaBET customers enjoy, the NairaBET Monday Funding Madness (#NairaBETMFM). Customers are rewarded for funding their betting accounts on Monday with 10% bonus added to their bet account. 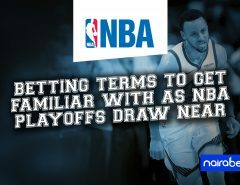 This is one feature that is exclusive to the NairaBET platform. This feature is an algorithm built into the NairaBET website that suggests bets for NairaBET users. The only thing you need to use the “bet suggest” feature is the amount of odds you intend to place your wager on and how much you want to stake. Once you know these two things, the computer will help you to generate games that fall within the odds range you requested for. 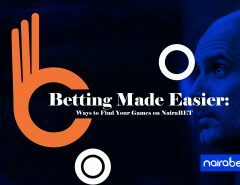 Click here to see the complete guide on how to use NairaBET’s Bet Suggestion feature. This NairaBET feature allows customers to transfer funds to each other’s bet account. Instead of going through the hassle of funding your bet account via online banking or the ATM or using USSD code, you can just have your friend use the customer-to-customer funds transfer feature to send you a few extra bucks with which to play with. Click here to INSTANTLY open a NairaBET account for yourself and start enjoying the massive odds and quick payouts NairaBETters enjoy. This is another feature that makes NairaBET better than the rest. If you place your bet on NairaBET, and one game messes up your accumulator, NairaBET will make sure you still go home with something, instead of losing it all. Do you want a faster way to fund your NairaBET account without going to bank and when nobody wants to transfer to you? Then it’s the NairaBET GTBank USSD funding. As long as you have a GTB account (and have money in your account), you can simply dial the code: *737*50*Amount*88#. Then follow the instructions that come up on your phone. And just laidat, you have money in your NairaBET account. Just imagine still being able to browse the different games available and place your bets, even when you don’t have data. Well, you can stop imagining it now…because it already exists. Without data you can now browse NairaBET for free, as long as you’re using MTN. In fact, if you have data, your phone switches to data-free mode as soon as you enter the NairaBET website with an MTN SIM. If that’s not cool, then I don’t know what cool is! The earliest game on your ticket has ‘casted’ (didn’t come through) and you want to quickly place another bet before others start? You can simply re-bet all those other games at once with NairaBET’s “Re-Bet” feature. Even if no game spoilt your ticket but you just feel like repeating same bet (whether single or accumulator), you can also simply use the re-bet feature. If you’ve been a NairaBET customer for a while, you must’ve been familiar with this. NairaBET simply returns your bet money whenever a game in the English Premier League ends in a goalless draw – that’s if you bet in the 1 X 2 (win, draw or lose) market. Of all the awesome NairaBET features (including the ones not listed here), which one is your favorite? As a long-time bettor on NairaBET, which of these features have you used and now almost can’t do without? 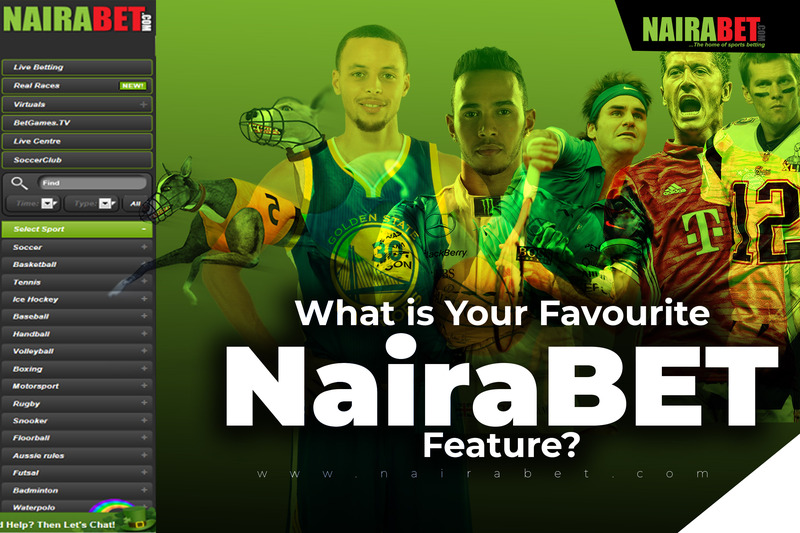 Or…as a newbie looking to join NairaBET, which of these features do you find the most fascinating?